Jeff Thompson, California Trout's executive director, does a little fly fishing on the McCloud River. He played a crucial role in establishing the organization's partnership with UC Davis to ensure that research, teaching, and outreach on wild trout, salmon, and steelhead will continue for many years. 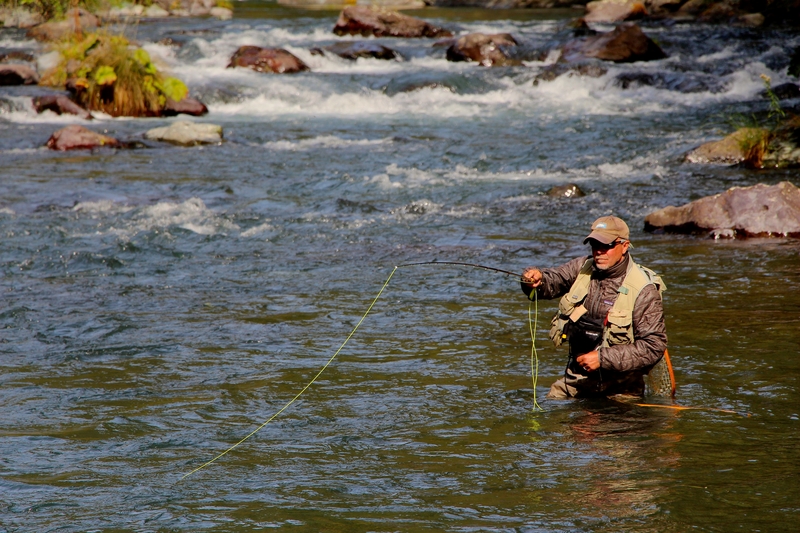 California once teemed with millions of native salmon, trout and steelhead. The state has 31 distinct types of these iconic, majestic fish. But decades of degradation to aquatic habitat has depleted their numbers in many areas of the state. According to a report by UC Davis fisheries professor Peter Moyle and colleagues, 20 of these fish species are in danger of extinction within the next century. They are important species not just for the recreational or commercial benefits they afford, but also because they are a direct reflection of the health of the environment. 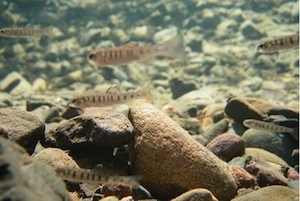 “Large self-sustaining populations of native salmon and trout are found where streams are in reasonably good condition,” Moyle wrote in his 2008 report, “SOS: California's Native Fish Crisis.” This report was commissioned by the conservation organization California Trout (CalTrout), which exists to support conservation science, education, and advocacy efforts to protect California's water resources and fisheries. 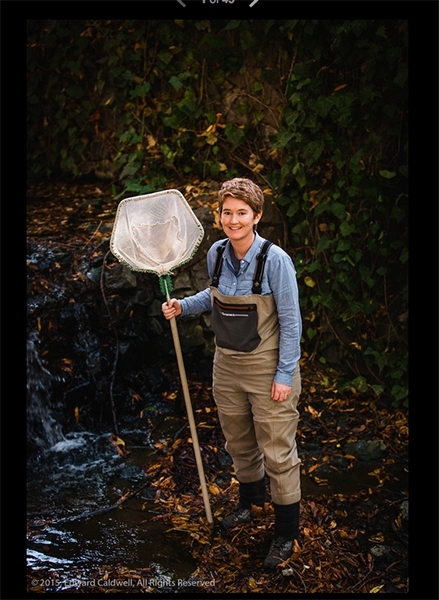 Moyle, whose academic home is the Department of Wildlife, Fish and Conservation Biology at UC Davis, is no stranger to CalTrout. He is the foremost authority on California's native freshwater and anadromous (sea-run) fishes and has been a leader in research and conservation efforts. His research has provided the core science essential to statewide conservation planning for freshwater and estuarine native fishes, especially salmon and trout. Graduate students who studied with Moyle now occupy many top-level fish ecologist and management positions in state and federal agencies, as well as key nonprofits like CalTrout. A Russian River steelhead gets released back into the waters of this important North Coast waterway. “Peter has been an invaluable resource and instrumental in establishing such a strong scientific foundation in our work,” said CalTrout's executive director Jeff Thompson. In May of this year CalTrout and UC Davis announced the formal creation of the Peter B. Moyle and California Trout Endowed Chair in Cold Water Fishes. The endowment will provide crucial support for the chair holder's scholarly activities, teaching, and public service involving cold water fish and aquatic ecosystems. He or she will teach department courses, mentor graduate students, conduct research and outreach, and provide leadership in the conservation of cold water fishes and their ecosystems. The university recognizes that salmon, trout, and steelhead are the major drivers of many conservation efforts and will have the highest priority in the chair's program. Most of the contributors to the endowment are CalTrout board members such as Nick Graves. He and his wife, Mary, explored many trails and trout waters in the Sierra Nevada over the years and have enjoyed larger rivers flowing from the Trinity Alps, Mt. Shasta, and the Siskiyou Mountains. “The opportunity to create a scientific chair whose research targets California waters, in perpetuity, is a comforting thought,” Graves said. Jacob Katz (left), director of California Trout's salmon and steelhead initiatives, and Professor Peter Moyle (right) are pictured at the Yolo Bypass, where their research is evaluating the importance of the area for rearing juvenile salmon. At times during the winter and early spring it looks like a vast inland sea between Sacramento and Davis. This is the Yolo Bypass, which shunts Sacramento River floodwater around the state capital during high flows. You drive over the bypass on a three-mile-long elevated stretch of Interstate 80 known as “the Causeway” (the Blecher-Freeman Memorial Causeway). The bypass is also the site of a lot of innovative fish and wildlife work. From late fall through winter you can see thousands of ducks, geese and other waterfowl winging over the bypass’s flooded rice fields and the restored wetlands in the Vic Fazio Yolo Basin Wildlife Area. 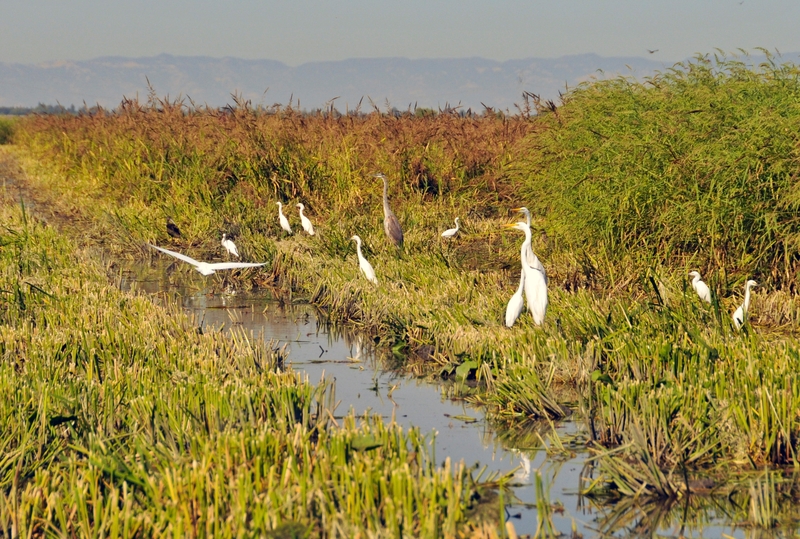 The Central Valley of California is one of the nation’s most important migratory waterfowl corridors. The bypass provides essential winter habitat for these birds on their annual migration. The wildlife area is managed by the California Department of Fish and Wildlife. Learn more. 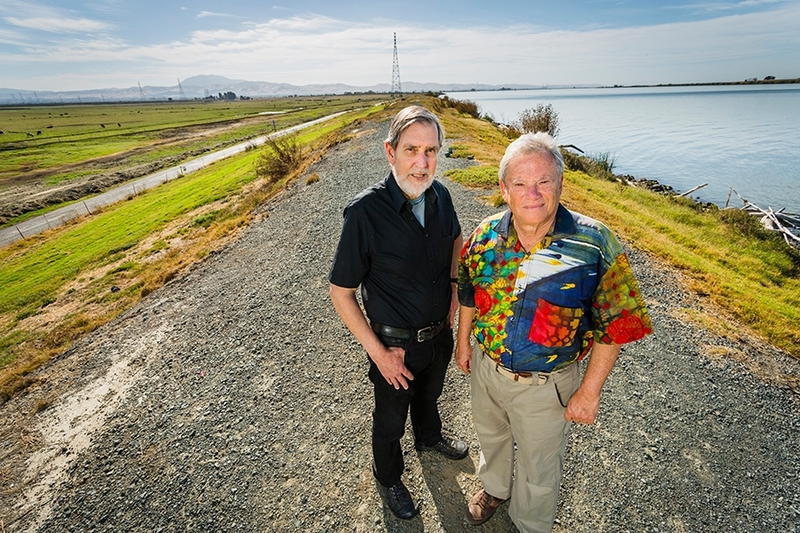 A recent article in The Sacramento Bee featured a research project at a rice farming area in the upper reaches of the bypass that is examining how flooded fields could be used to fatten up young salmon during a crucial time in their life cycle. One part of the study is examining how soil type influences the production of insects — an important source of food for growing salmon. Carson Jeffres, a fish ecologist with the UC Davis Center for Watershed Sciences, is quoted in the story: "There are hundreds, if not thousands, of insects that are coming out of each 9-by-6-inch block of earth." 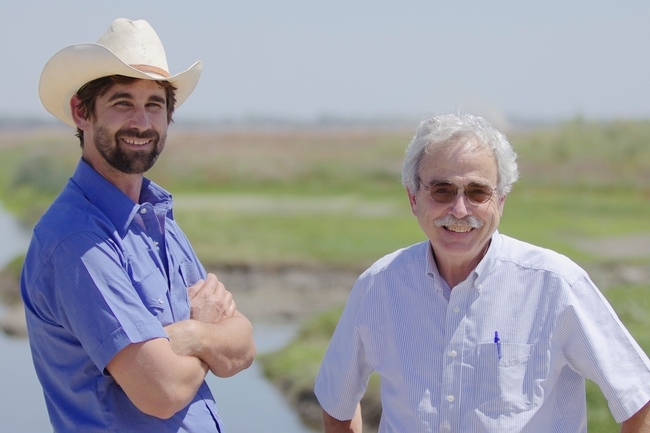 You can also watch a YouTube video to hear UC Davis doctoral student Jacob Katz describe the project and read more about why fish find this floodplain so attractive in a previous Green Blog post by writer and photographer Trina Wood. 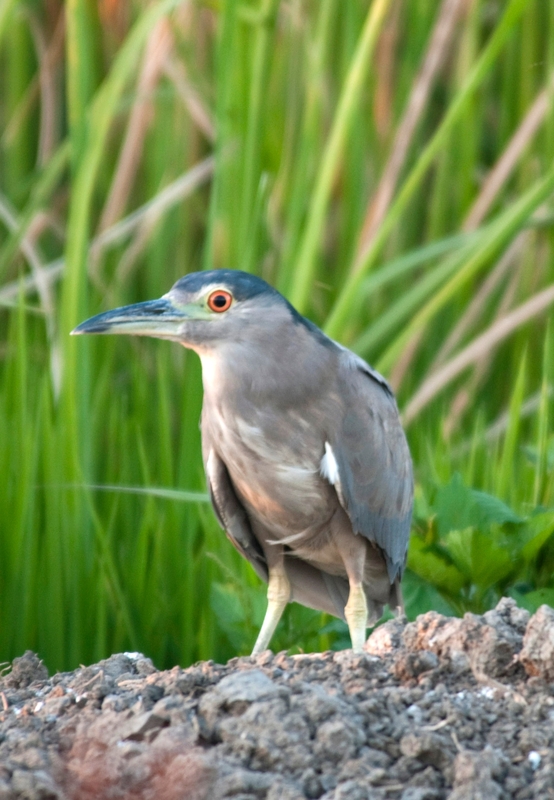 Part of the wildlife area is accessible by automobile — when it’s not flooded! Consider taking a tour of this remarkable and easily accessible area, or take binoculars to view the many birds. UC Davis fisheries professor Peter Moyle prepared a guide that will help you make the most of your visit. 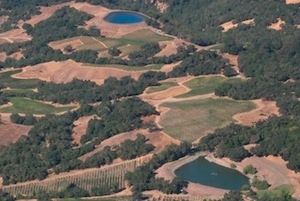 The competition between farmers and fish for precious water in California is intensifying in wine country, say biologists at the University of California, Berkeley. 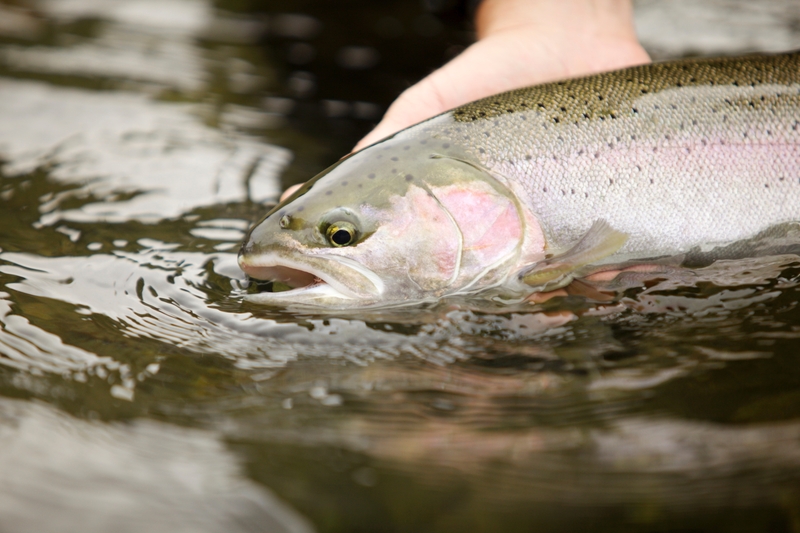 A recently published study links higher death rates for threatened juvenile steelhead trout with low water levels in the summer and the amount of vineyard acreage upstream. Like salmon, steelhead trout migrate from freshwater streams to the ocean before returning to their birthplace to spawn. Steelhead trout in Southern California and the upper Columbia River are endangered, and several other populations, including those in Northern California, are threatened. The researchers pointed out that salmon and trout conservation efforts have not adequately addressed summer stream flow. Previous studies have highlighted other limiting factors such as habitat degradation and water quality, while this study documented the importance of water quantity for restoring threatened populations. “Nearly all of California’s salmon and trout populations are on the path to extinction and if we’re going to bring these fish back to healthy levels, we have to change the way we manage our water,” said lead author Theodore Grantham, a recent Ph.D. graduate from UC Berkeley’s Department of Environmental Science, Policy and Management (ESPM). “Water withdrawals for agricultural uses can reduce or eliminate the limited amount of habitat available to sustain these cold-water fish through the summer. Warming streams could spell the end of spring-run Chinook salmon in California by the end of the century, according to a study by scientists at UC Davis, the Stockholm Environment Institute (SEI) and the National Center for Atmospheric Research (NCAR). There are options for managing water resources to protect the salmon runs, although they would impact hydroelectric power generation, said UC Cooperative Extension associate specialist Lisa Thompson, director of the Center for Aquatic Biology and Aquaculture at UC Davis. A paper describing the study was published online recently in the Journal of Water Resources Planning and Management. “There are things that we can do so that we have the water we need and also have something left for the fish,” Thompson said. Working with Marisa Escobar and David Purkey at SEI's Davis office, Thompson and colleagues at UC Davis used a model of the Butte Creek watershed, taking into account the dams and hydropower installations along the river, combined with a model of the salmon population, to test the effect of different water management strategies on the fish. They fed in scenarios for climate change out to 2099 from models developed by David Yates at NCAR in Boulder, Colo.
“If we leave the water in the stream at key times of the year, the stream stays cooler and fish can make it through to the fall,” Thompson said. Summer, of course, is also peak season for energy demand in California. But Thompson noted that it might be possible to generate more power upstream while holding water for salmon at other locations. Hydropower is often part of renewable energy portfolios designed to reduce greenhouse gas emissions, Purkey said, but it can complicate efforts to adapt water management regimes to a warming world. Yet it need not be all-or-nothing, he said. There are also other options that are yet to be fully tested, Thompson said, such as storing cold water upstream and dumping it into the river during a heat wave. That would both help fish and create a surge of hydropower. 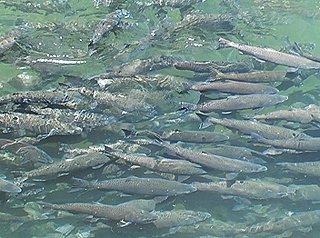 Salmon are already under stress from multiple causes, including pollution, and introduced predators and competitors, Thompson said. Even if those problems were solved, temperature alone would finish off the salmon — but that problem can be fixed, she said. Other co-authors of the paper are graduate student Christopher Mosser and Professor Peter Moyle, both in the Department of Wildlife, Fish and Conservation Biology at UC Davis. The study was funded by the U.S. Environmental Protection Agency.